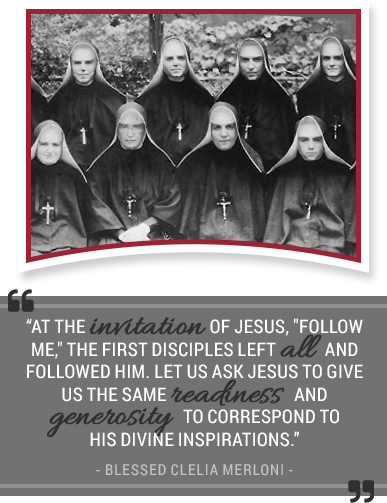 The Apostles of the Sacred Heart of Jesus have served in the United States since 1902. During that time, missions have opened and closed, reflecting changing needs and opportunities. Yet the tradition of Apostle service has remained constant, and the people and places of the past are integral to what we as a congregation are today. The Archives of the United States Province is at the Mount Sacred Heart Provincialate in Hamden, Connecticut. Several initiatives are underway, some made possible by advances in technology, that will enable us to permanently preserve the documents, photographs, and memorabilia that chronicle our history. Here on our website, we are proud to share information about our beloved deceased sisters. We invite you to view a list of our deceased sisters. If you are interested in a specific obituary, please email us. A few of our retired sisters living at Sacred Heart Manor are in their 90s and still recall some of our Apostle pioneers! We invite you to read through the obituaries of our deceased sisters below. To get in touch with a current member of the congregation, please submit our Locate an Apostle form. Simply give us as much information as you can about the sister you would like to locate, and we will locate and contact her on your behalf.